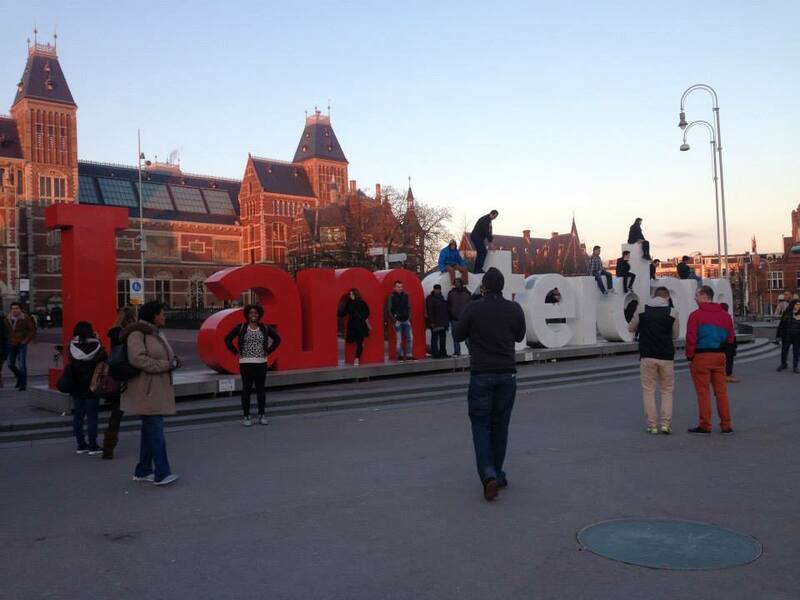 Recently, I embarked on a solo trip to Amsterdam for my Easter holiday/ birthday festivities. The thought of taking a solo trip was honestly kind of daunting. I have always traveled with family, and as of recent, with college friends. But to orchestrate and execute a solo trip by myself has been a task and an award in itself. While finding my way through this ancient and beautiful city, I realized it wasn’t as hard for me to blend in to the ways of Amsterdam, partly because of a few lessons I learned from Greek Life. The social constructs of Greek Life really does set you up for “real world” success if you let it. Fraternal/sororal life has its own set of social cues that have helped me navigate through various situations and countries a little easier. Here are a few of my takeaways that might help you on your journey to Wanderlustland. Once you’re accepted into your organization, you’re catapulted into a world vastly different from your regular collegiate life. Not only do you have to get accustomed to your organization, but you must learn about your council and other councils alike (or you should). You become familiar with their rituals, customs, “language”, and culture. Each organization has its own distinctive identity that makes Greek life special. And even though we’re “different” in our own ways, we have a collective understanding and love for what Greek life represents and what an impact it makes in our communities. It is the same for traveling. Experiencing new cultures and being fully immersed in ONE culture is scary & exciting. Traveling allows me to be more proactive in my curiosity. When I visit other countries, I adapt the customs and the language. I “when in Rome” as much as I can without giving up my identity in the process. I function in the state of appreciation for the knowledge and creativity native civilians bring to the world. I leave with a better understanding of what humanity is and how no matter the distance, no matter the heritage, no matter the ethnicity, we all are essentially the same. That kind of universal familiarity is inexplicably terrific. I think it’s fair to say that Greek life caters to the Extroverts of the world. I like to think of myself as an Introvert with Extrovert tendencies. I know plenty of friends who will say otherwise, but THEY DON’T KNOW MY LIFE! Lol. The point is, for many, pushing yourself to be more social can be somewhat of a challenge. Greek Life really helped me break out of my shell and become more of an outgoing person. And because of some of the unfortunate aspects of Greek Life (party fights, stereotypical shade, lack of discretion, etc), I’ve learned how to be more assertive, strategic and intentional in my actions. All these traits are imperative when you’re traveling, especially when you’re traveling by yourself. Let me tell you this. I got lost for 3 hours in Amsterdam. Well…let’s say 1 hour and 1/2. I was blissfully wondering around for the first half. Second half, I was low key panicking about getting back to my hostel before dusk. For the second half of my Dora the Explorations, I think I asked so many questions, I met at least 100 natives. The fear of looking like a tourist hindered me, so I spoke up. Come to find out, majority of the natives were uber helpful and hospitable. I got to visit places I would have never known about had I not asked questions. Throughout my duration of my trip, I continued to inquire fearlessly without the burden of embarrassment. Going to another country by myself already put me in a position where I had to rely on myself…and God. By doing so, I learned my limits, how to surpass them and how to become comfortable with discomfort because it lead to exponential growth. Greek Life can sometimes be perceived as a secret society. We have our own rituals, terms, shields, calls, etc. We have our own discretionary codes that our members abide to. We do so in order to share sacred information with each other, pass down knowledge to other members, and maintain our history so our organizations can prosper. Knowing the right people within your organization can greatly increase your love, your loyalty and your dedication to your letters. I believe this is the BEST part of traveling. Whether you’re traveling domestically or internationally, once you get the travel bug, you’re addicted. You become a citizen of Wanderlustland and there are people in the most uncommon of places that reside there too. It could be your coworker, your pastor, your fellow patron in the grocery store and you wouldn’t even know. On my way to and from Amsterdam, all my taxi drivers were well traveled. The strangers I talked to strolling around town shared crazy stories of their travels. They all gave me the best suggestions on places to visit, different websites to check out for flight deals, advice on how to deal with street vendors and stories galore about their travel expeditions. To people who haven’t traveled, it almost sounds like a foreign language when we’re conversing. It’s a little surreal. You gain so much insight of the world talking to fellow nomads. There is a mutual respect for those who invest in travel. Nomads are rich with memories, filled with world wisdom and insistent on recruiting new prospects to hop on a plane and see the world. Everyone may not be able to travel frequently, but if you put your mind and money to it, anyone CAN travel. Hopefully I have encouraged you to do just that!